Franz Schubert, Composer - Max Wilcox, Producer, Engineer - Richard Goode, Piano, MainArtist - MacDonald Moore, Additional Engineer Copyright : 1984 Elektra/Asylum/Nonesuch Records 1984 Elektra/Asylum Records for United States and WEA International Inc. for the world outside of the United States. 5 Laendler: Op. Posth. 171, D.790: I. 6 Laendler: Op. Posth. 171, D.790: II. 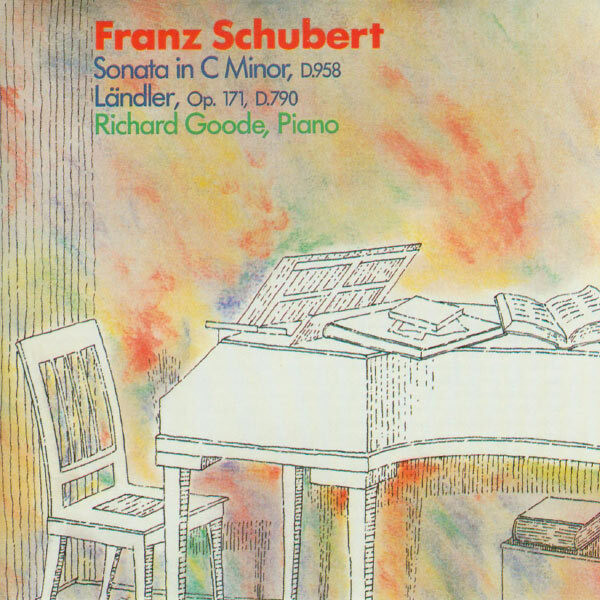 Franz Schubert, Composer - Richard Goode, MainArtist Copyright : 1984 Elektra/Asylum/Nonesuch Records 1984 Elektra/Asylum Records for United States and WEA International Inc. for the world outside of the United States. 7 Laendler: Op. Posth. 171, D.790: III. Richard Goode, MainArtist Copyright : 1984 Elektra/Asylum/Nonesuch Records 1984 Elektra/Asylum Records for United States and WEA International Inc. for the world outside of the United States. 8 Laendler: Op. Posth. 171, D.790: IV. 9 Laendler: Op. Posth. 171, D.790: V.
10 Laendler: Op. Posth. 171, D.790: VI. 11 Laendler: Op. Posth. 171, D.790: VII. 12 Laendler: Op. Posth. 171, D.790: VIII. 13 Laendler: Op. Posth. 171, D.790: IX. 14 Laendler: Op. Posth. 171, D.790: X. 15 Laendler: Op. Posth. 171, D.790: XI. 16 Laendler: Op. Posth. 171, D.790: XII.